The PLUS for your holidays in South Tyrol! A special welcome present awaits you on your next holiday in Lagundo. With just one overnight stay you will also receive the AlgundCard* at the participating companies as a complimentary gift with your room rate. 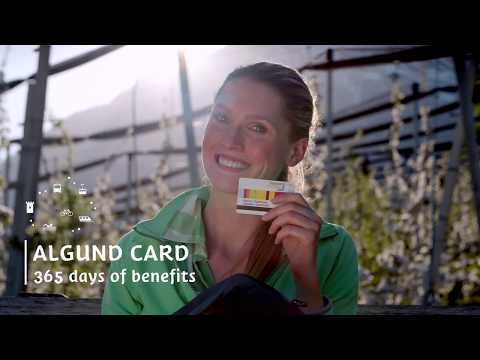 The AlgundCard is your ticket to an unforgettable holiday experience. The card allows you to use all public transport in South Tyrol as well as selected cableways and provides free admission to 80 provincial museums. On our Facebook page, you will find tips for exceptional and free excursions with the AlgundCard. * for all participating accommodation facilites.